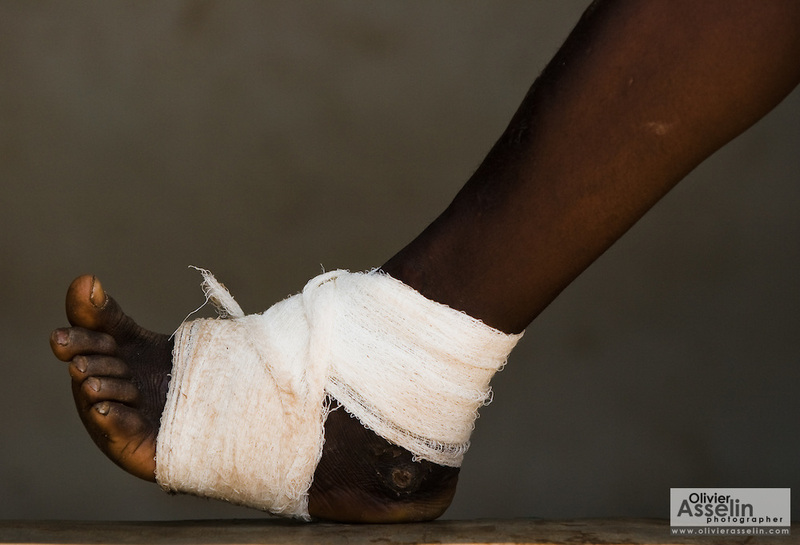 Bandaged leg of a young boy suffering from guinea worm at the guinea worm case containment center in Savelugu, northern Ghana, on Friday March 9, 2007. A parasite transmitted through water, guinea worm emerges from the host's body nine months after drinking contaminated water. Measuring up to 1 meter, it can only be pulled out a few cm every day to prevent it from breaking inside the host's body. Despite a widespread eradication program Ghana has the second largest number of cases in the world - after Sudan.